A charming retirement village located in the county of Cheshire. In the beautiful Nantwich Village. I’m proud to be leading the team here in an award-winning retirement village. Our residents deserve the best in life and they get that here at Richmond Nantwich. Our award-winning gardens, tended to by a team of dedicated gardeners. The cottages nestled in the picturesque Courtyard at Richmond Nantwich. Village Apartments overlooking the stunning bowling green. One or two bedroom apartments provide residents an independent lifestyle within a supportive community. Apartments at Richmond Nantwich feature kitchens and separate lounge/dining rooms with most ground level properties benefitting from pretty patios. One bedroom suites are offered with a lifestyle package to take care of housekeeping, laundry, utility bills and meals; this is the ultimate worry-free retirement choice. Suites feature a kitchenette, lounge and are built close to Village amenities making it easy for you to get around. 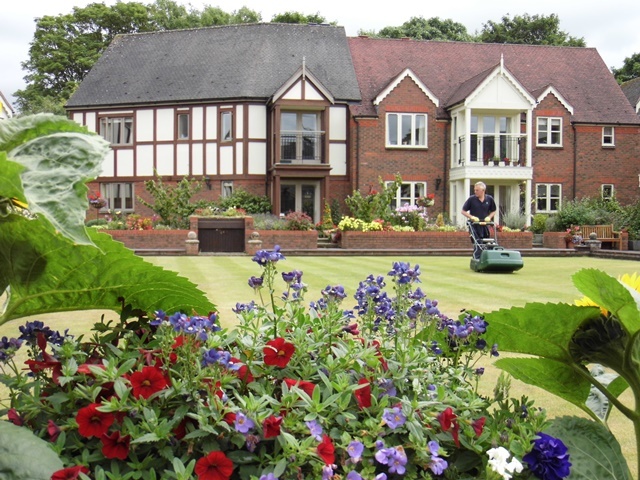 Richmond Nantwich has a 41 bedroom Village Care Home providing residential care. We are proud of our ‘Good’ rating with the CQC and consistently score highly on carehome.co.uk, which is the independent review website for care homes in the UK. Support needs may come with a long term health change or to get you back on your feet after an illness, injury or operation. Our dedicated Domiciliary Care Team is registered with CQC and works exclusively with Richmond Nantwich residents to help retain independence in their own home for as long as possible. We’re passionate about residents being able to access health and wellbeing services on their doorstep, as well as ideas and inspiration to live a full and happy life. Book into the Village hair salon and visiting beautician for a range of services; our restaurant menu is full of nutritious options prepared daily with fresh produce; and the activity team runs regular classes to improve core strength and general fitness for all levels. We understand how important pursuing existing hobbies and taking up new ones is to our residents. No two days need be the same as Richmond Nantwich has its own activity organisers who will arrange a whole host of activities and events based on the interests of the people living here.